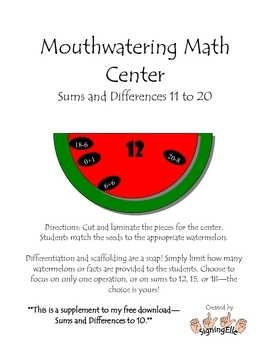 Another mouthwatering math center perfect for individual or partner practice of sums and differences to 11 to 20! In this elementary math center, students will match watermelon seeds (math facts) to the corresponding watermelon (sum or difference). 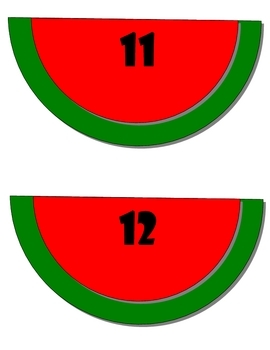 Differentiation and scaffolding are a snap-- simply limit the number of watermelons and seeds available to students. 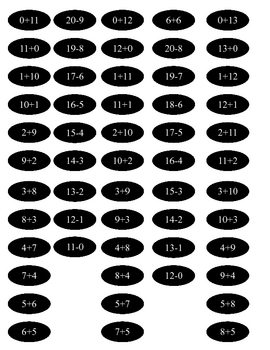 Choose to focus on a single operation, or on facts through 12, 15, or 18--the choice is yours! 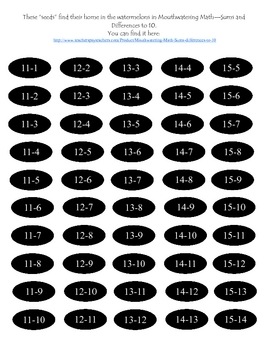 This download also includes extra subtraction facts for the original Mouthwatering Math--Sums & Differences to 10!